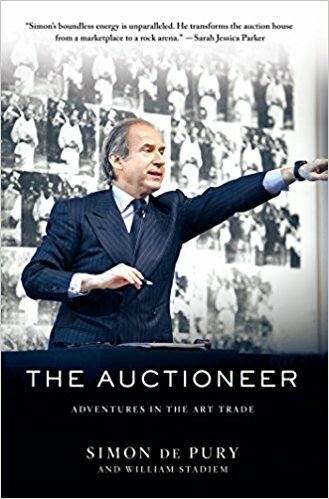 Simon de Pury, the ultimate art player, takes us inside a secretive business whose staggering prices, famous collectors, and high crimes are front-page news almost every day. The former chairman of Sotheby’s Europe, the former owner of Sotheby’s rival Phillips de Pury, and currently a London-based dealer and advisor to great collectors around the world, he has one of the highest profiles of any non-artist in the art world. Even though de Pury has an ancient title and the aura of an elegant Swiss banker, he is famous as an iconoclast and is known as the “Mick Jagger of Auctions” for his showmanship and exuberance. His whole life in art has been devoted to bringing art to the public and to the juxtaposition of high and low. Movie stars, musicians, and athletes compete with hedge funders and billionaires for great art, and he is their pied piper. Moderated by Kristi McMillan, Adult Programs Manager, with special guest Lauren Brunk, Principal, Brunk Auctions.